Charles Austin lives in Halifax, Nova Scotia and is one of the best musicians, producers, and people that I know. Austin has played in bands and projects like Neuseiland, the Lodge, Lost Wax Guild, Aqua Alta, and Psychic Fair and has also collaborated with Buck 65 and Al Tuck among others. He first gained prominence in the mid-1990s when his band the Super Friendz became underground favourites, releasing three killer albums and touring the continent as headliners but also frequently opening for people like Sloan and Guided By Voices. 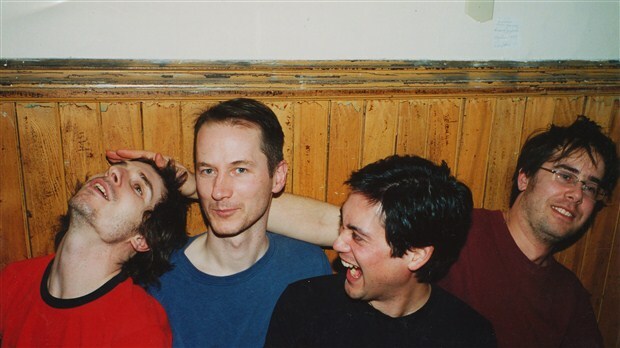 Their landmark debut album, 1995’s Mock Up, Scale Down was issued on vinyl for the first time last year and, after years of inactivity, the band is playing select shows including one at the Hillside Festival in Guelph on Saturday July 26. Here, Charles and I discuss how playing a single show is pretty selective touring, the Super Friendz drummer issues and why Kieran Adams is filling in for Dave Marsh at Hillside, meeting your new bandmate two days before a big show together, Halifax and Hurricanes Arthur and Juan, abandoning your family for Mike O’Neill, the Trailside in PEI, great Halifax bands like Monomyth, Walrus, and the Scoop Outs, local venue issues, recording cool bands like Paper Beat Scissors, Nathan Doucet is a great drummer, Josh Salter is a rocking encyclopedia, the Psychic Fair band and working with the lovely, underrated Jenn Grant in Aqua Alta, reading rock books like Feeding Back: Conversations with Alternative Guitarists from Proto-Punk to Post-Rock by David Todd, the best songwriter is Al Tuck, 1995 and Clive Macnutt, the vile temptress that is music, how to encourage your children’s interest in music, how your kids’ peer groups might ruin the bond you’ve forged with your kid, the Wiggles versus Ramones, American underground music in the 1980s, early Super Friendz jams, learning how to engineer and produce records, noted Nova Scotia producer Brendan Maguire, what’s up with the Super Friendz’s current status and that unfinished new album, the song “Mountaineer,” and then we’re good to go.